Search Results for "bell tolls"
Form meets function with these inspirational furniture projects crafted from community trees and featured in the Urban Wood Products Showcase, a popular component of the March 18, 2016 Bringing the Urban Forest Full Circle Conference at Hamburger University in Oak Brook, IL. 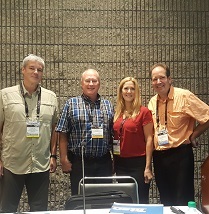 The event was organized by the Illinois Wood Utilization Team. 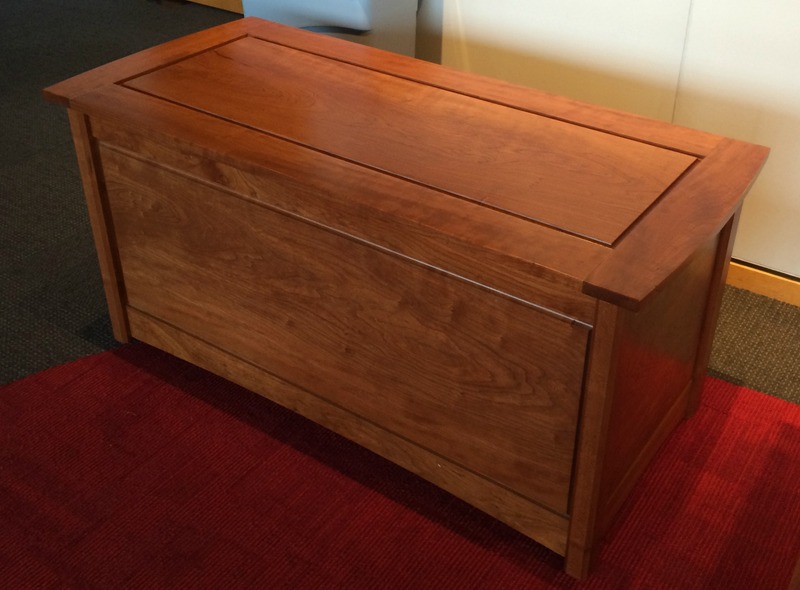 Wade Ellis of Ellis Custom Sawmilling and Woodworking crafted a cherry chest that garnered the most votes in the People’s Choice awards for the Furniture Category. 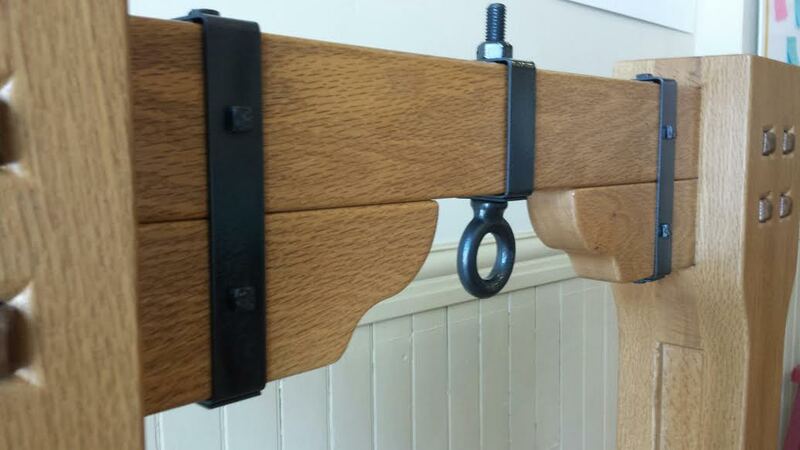 A train bell stand created by Jeff Perkis primarily using white oak salvaged from storm-damaged trees was second in the voting by conference participants. 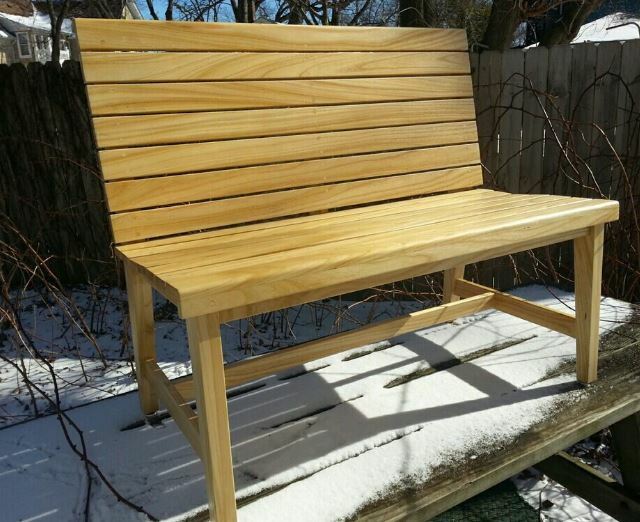 Read more about each of these way cool Urban Wood Products Showcase entries. 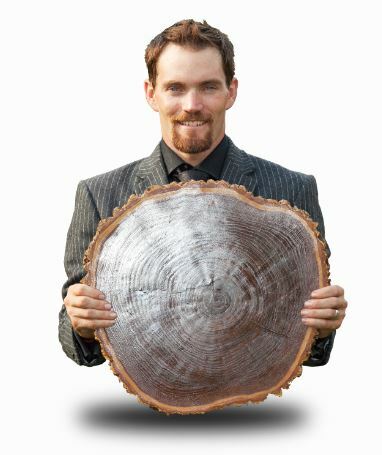 Urban Wood Source: Storm-damaged trees from Reed Keppler Park of West Chicago, IL, acquired after storm of July 2012. Milled and kiln dried by Ron Meyers and myself in West Chicago. 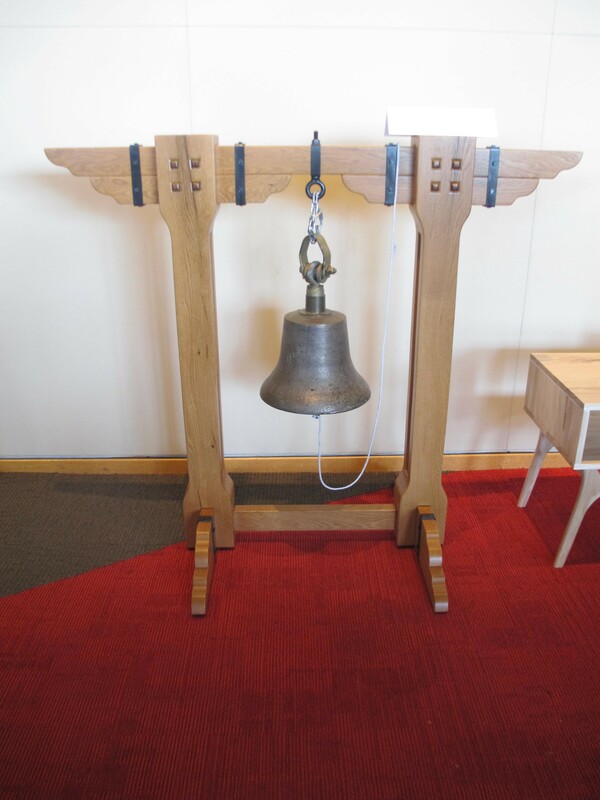 Theme/purpose: The City of West Chicago commissioned Perkis to create this 4-foot tall, solid red oak bell stand with walnut accents, sturdy enough to hold the approximately 80-pound train bell, which has been at the center of the spirited historical re-enactment of El Grito de la Independencia or the Cry of Independence. Perkis became aware of the need for a suitable bell stand from Lorenzo Covarrubias who holds the distinction of being West Chicago’s Patron de la Campana, or Patron of the Bell, and has offered the use of his bell for West Chicago’s El Grito for the past 23-years. 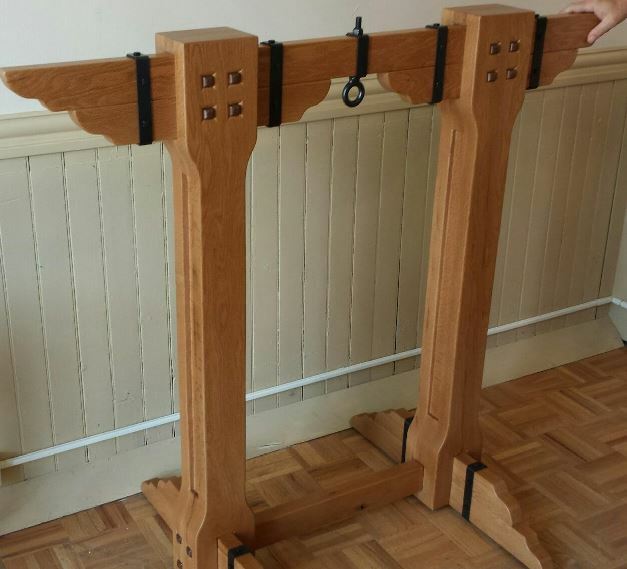 Perkis designed the bell stand in the arts and crafts style of many of the homes in the area and was influenced by architect brothers Greene and Greene. He presented the stand at a public ceremony at the West Chicago City Museum attended by the mayor and art patrons. The sawdust will be used to make paper on which he will print the details of the stand’s creation so that it will “tell its story” for future generations. Read related article. Urban Wood Source: The tree was grown on the campus of Michigan State University, and was taken down due to disease. 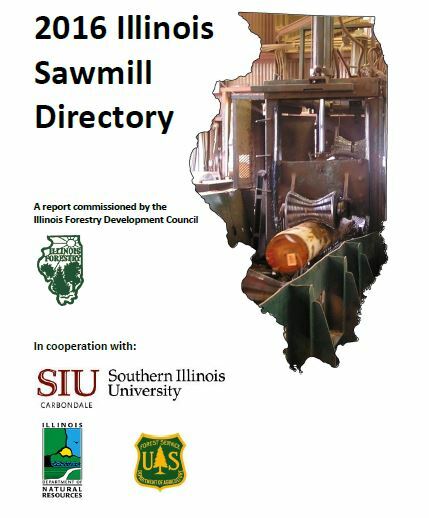 The Department of Forestry’s Sustainable Wood Recovery Team milled and dried the lumber on campus. Local wood worker, Nathan Shaver was commissioned to build the piece for the MSU Shadow’s Collection. Theme/Purpose: The MSU Shadows Collection has been created as part of the Sustainable Wood Recovery Initiative at Michigan State University. MSU Shadows collectibles are made from salvaged trees that are removed from campus due to decline, storm damage or construction. Trees are milled into lumber and kiln dried by MSU’s Department of Forestry. The lumber is sent to Michigan-based artisans who design and craft the items. Purchases of these handmade collectibles enhance campus sustainability through tree planting initiatives on campus, and supports student educational programs in forestry and urban wood recovery. Urban Wood Source: Meyers Woodworking and lumber. I intervened on just another local tree heading to the dump. Theme/purpose: This is a small bench intended for a couple having to sit close, a love seat, to be used in a setting somewhere overlooking God’s great creations. This is why I chose The Tree of Heaven for the material. Urban Wood Source: Homeowners Felled Tree / Horigan Urban Forest Products. A mature American elm of an estimated age of over 130 years was cared for as the centerpiece of a garden in Evanston for over 100 years. It had been regularly inoculated against disease but to be removed as a safety precaution. The tree was felled by the arborist who had cared for it. 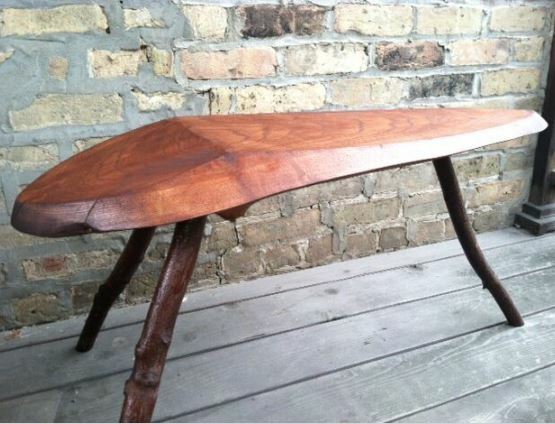 Theme/purpose: This project was created to explore the uses of Urban-sourced American elm in art and furniture. 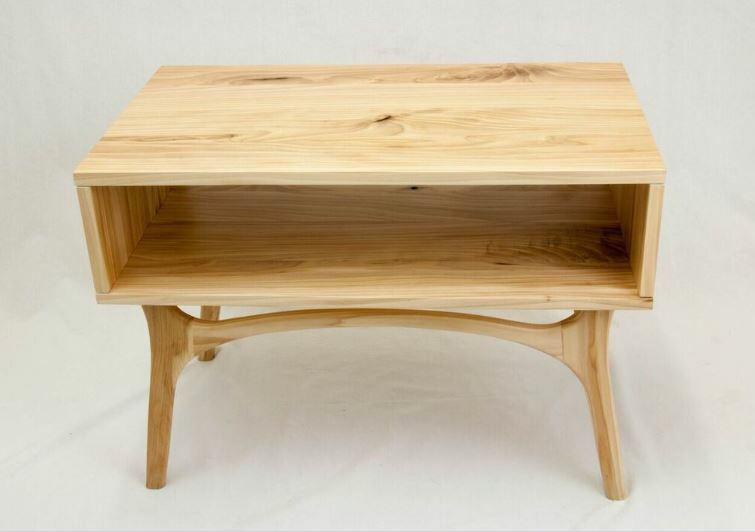 This American elm puzzle sofa table top was created from 12 individual interlocking pieces to create the top. 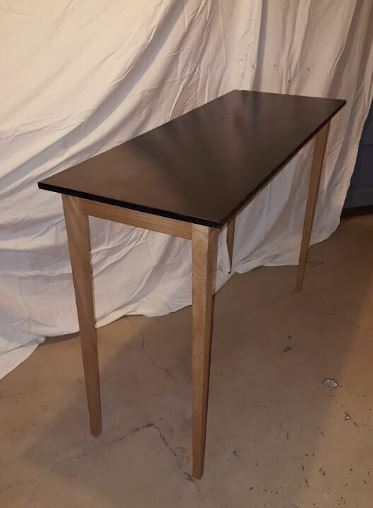 After assembly, the top was ebonized utilizing quebracho bark powder and iron acetate which reacts with the natural tannins to blacken the surface of the wood, while revealing the grain and character of the wood. Urban Wood Source: Chicago Park Tree. I saw this piece in the discard pile of a forestry truck after a day in the field. It was a piece that was sheared off of a trunk and had interesting tear and break features. Theme/purpose: To utilize a broken or featured part of a felled park tree to create and interesting artifact. I took the sheared section of a trunk and tooled it to match the natural split and shear characteristics. The result is an insect-shaped abdomen floating on three wild cherry legs. 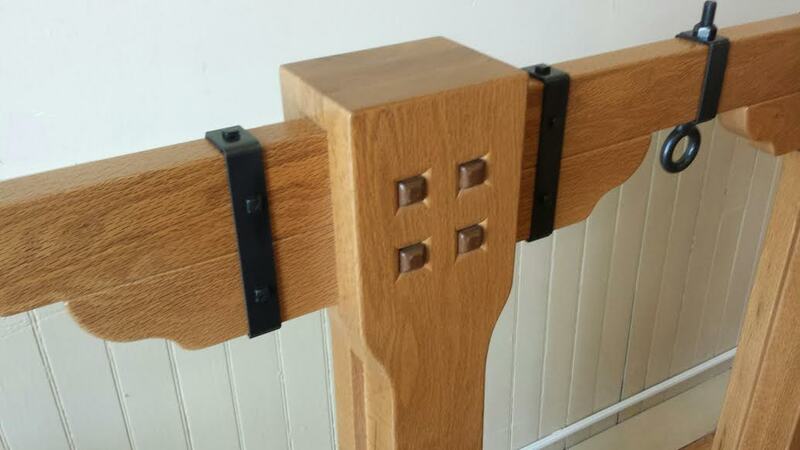 Materials Used: Urban white oak. Finish is a hand applied and rubbed water-based polyurethane. The legs are perforated anodized aluminum, the table-top stand-offs are anodized aluminum tubing. Fasteners are stainless steel. Theme/ purpose: Design Indeterminacy/”Furnerector Set” table explores the idea of indeterminate outcome. How might I design a functional object whose final form and aesthetic are beyond my final design control. 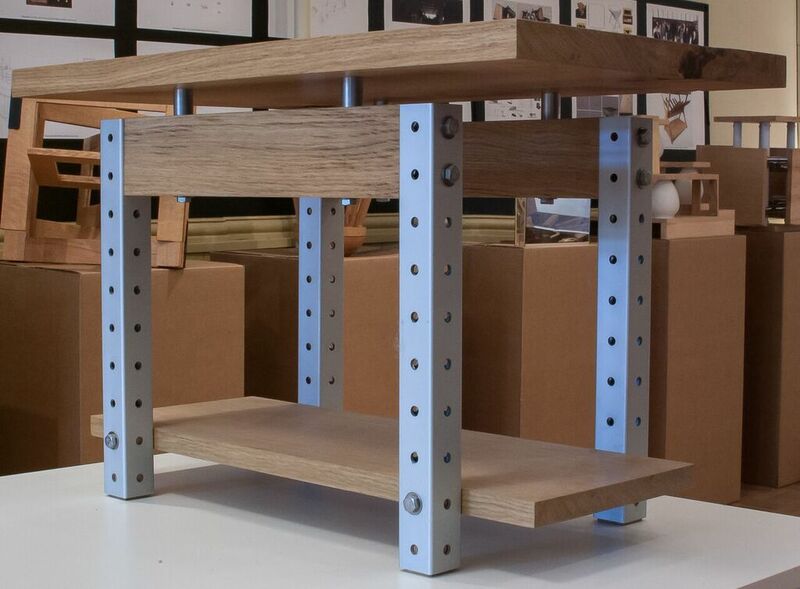 The project’s four metal legs and hardware allow for urban wood components to be rearranged, added, subtracted and altered over time. The possible future permutations are infinite and depend on the final user’s preferences both today and tomorrow. Design indeterminacy is seen as the antithesis of what I was taught as an architecture student and architect, i.e. I arrive at a final design, I make a set of construction drawings and the project is built as drawn. Design indeterminacy grows out of my interest in vernacular architecture and vernacular architecture’s tradition of multiple generations, continuously adding onto and altering structures over time. Recently, I have watched many of my architectural projects get altered, renovated and/or modified without my input. As an architect, I have completed projects that have altered the work of previous architects with my only having the vaguest of clues as to what the original architect might have intended. Alteration, renovation and modification can remain “out of the control” of the architect/designer or the architect/designer can make future alteration, renovation and modification part of the initial design. By making alteration, renovation and modification part of the original design and providing future change-makers clues, invitations and/or encouragements for the future, I am hoping that my work will have a longer life whether it lives on in its original form or a future form anticipated by me, the works original designer.